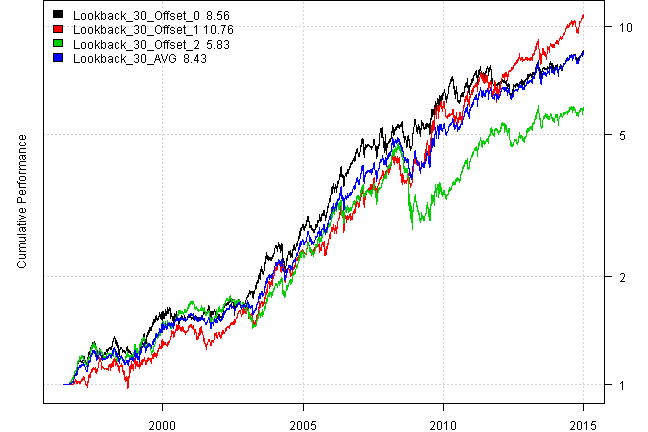 Let’s test concept of trading on different dates by simulating a momentum strategy with various lookbacks that trades on Quarter ends, and compare it to trading with 1/2 months offsets. I.e. 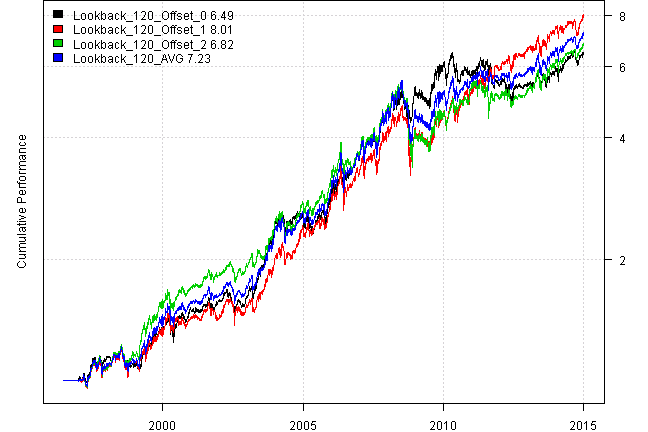 let’s simulate trading on the second or third month of the quarter instead of the first month. 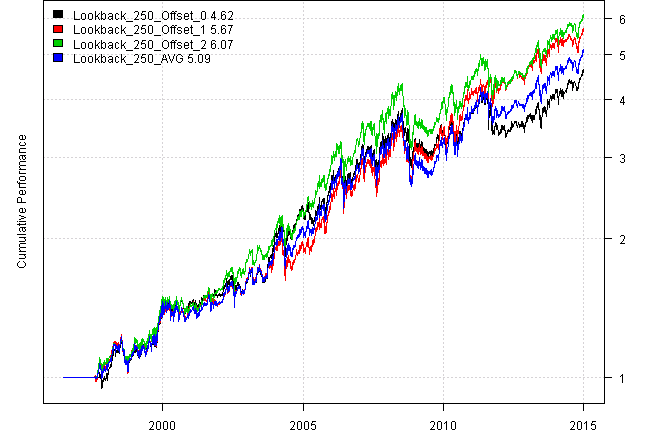 Somehow, strategy with 2 month offset is most volatile and has largest draw-down.